The Helliwell family of Todmorden, England, and Todmorden, Canada. Helliwell is a common name in Todmorden and the surrounding areas, and one particular branch had their roots high in the hills around Todmorden. They started out as most families at that time in the early 1700's by farming and home weaving for the markets in Yorkshire. Trade was good in those days and hard working families could usually earn a good living. They wove stuff goods and russells, a form of rough cloth. In 1692, a certain Thomas Helliwell of Stansfield was already running a modest sized industry. He had acquired two pairs of looms, a spoil wheel, warping wough and rings as well as three great spinning wheels and a line wheel, 13 yards of woollen cloth plus wool and yarn. Could this have been the beginning of our Thomas' story that will take us into nineteenth century Canada? It is a possibility. To begin, we start with what we know about John Helliwell, the first one of the family that is central to the story. He was married by 1764 and he and his wife Betty had five children; 3 sons, and 2 daughters, but only their daughter, Betty, and two sons, Thomas and Joseph, made it to adulthood. All their children were born at Hill House, which is on a hillside near to Cross Stone Church overlooking the Lob Mill area. John became a tradesman, possibly working at making stuff pieces. He grew to be an industrious and hard working man and it was mainly due to this, his knowledge of the trade and the fact that he knew what was required in the building of a mill that an opportunity arose in 1795 allowing him to better himself. John Ramsbottom of Todmorden and Robert Barker of Royd approached him and a contract was formed between them. 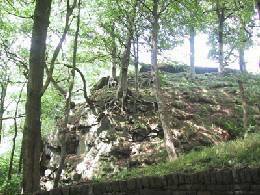 The terms of the contract were that John Helliwell of Hill House was to build a three-storey mill for carding and spinning at Houghstone Clough that was to be at least 12 yards long and 10 yards wide. The ground floor was to house two cottages whilst the second and third floors would each have a single room at least eight feet high to fit the machinery in. 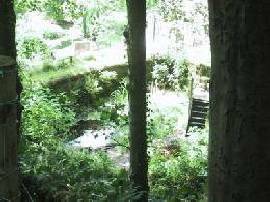 The water wheel was sited at the right hand end of the building on the east side and powered by the water from the clough and was eleven yards in diameter. They also constructed a dam higher up the clough, to the back of the mill, which would hold water for use in case of any shortage that may occur. The dam is now overgrown and on private land. 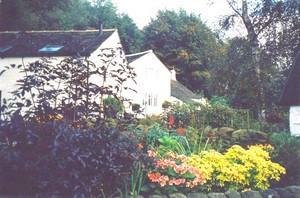 The name of the farm and the mill, Houghstone, is derived from the large outcrop of rock found in the vicinity. Hough being the local name for a rocky outcrop. This is the one near to both the Houghstone mill and farm. 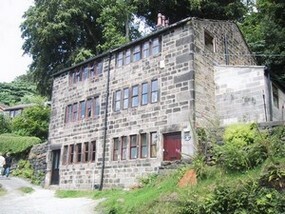 Ramsbottom and Barker were to be allowed to rent the mill at £21 per year as tenants in common for 21 years. This mill was much larger than the earlier Greenhurst Hey mill and had the advantage of the spent water from that mill as well as the water, which came down Scrapers Clough. The mill came to be known as Ratcha or Ratcher as well as HOUGHSTONE MILL. This is how it looks today; nothing is left of the mill, just Ratcher cottages remaining. John eventually moved from Hill House to Houghstone Farm with his sons, Thomas, Joseph, and daughter Betty, some time after the mill was built in 1795. His wife Betty had died in 1790, whilst they were still living at Hill House, so she was not to see any of these changes. Joseph, the youngest son of John and Betty married Mary Sutcliffe of Rawtonstall Farm in 1816. He ended up in poor circumstances, working in a mill in Rochdale in 1832, which is where his nephew William Helliwell, home on a visit from Canada found him and spoke of him as being a poor man who drank all that he earned. Betty, John's daughter, married Thomas Lord of Little Knowl, Walsden, in 1795 at St. Chad's, Rochdale, where her brother Thomas was a witness. She went over to Walsden with her husband and they had eight children, all born at Knowl. 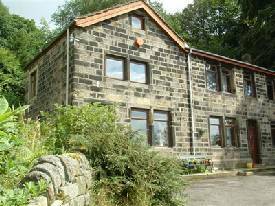 KNOWL FARM is situated on the Walsden side of the valley high up on the hillside. Thomas, the eldest son of John and Betty was born in 1769 and baptised at Heptonstall Church. 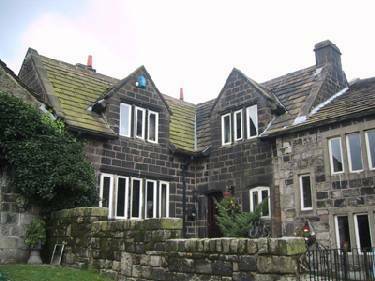 He lived at Hill House with his parents, and a year after his mother's death he married Sarah Lord of Little Knowl, Walsden at St. Chad's, in Rochdale in the June of 1791. Sarah was the sister of Thomas Lord who was to marry Betty Helliwell, Thomas' sister, four years later. Sarah was baptised at St. Mary's in Todmorden in 1773, the daughter of Thomas and Mary Lord. Thomas and Sarah continued to live at Hill House where Thomas carried on working for his father and their first two children; Elizabeth in 1792 and Thomas in 1795 were both born there. When the mill at Ratcha was finished, and they had all moved to Houghstone Farm, Thomas and Sarah had five more children, making seven in all. John, Thomas' father, died in 1811, leaving him in full charge of things at the mill. Betty and her husband Thomas Lord stayed on in Walsden but Thomas had other things planned on which to spend his inheritance. By now his family had grown to five boys and one daughter still at home. These were Thomas, Mary, John, Joseph, William, and the youngest, Charles Lord Helliwell. His eldest child, Elizabeth, had married John Eastwood, a tinsmith and plumber in 1811, and in 1815 they decided to leave Todmorden and emigrate to Canada via New York. Upon arriving in Canada they first settled at Lundy's Lane, Niagara, where John set up in business trading between his new home and Buffalo New York. At the house of Mr. David Cawthorn, innkeeper at the Golden Lion in Todmorden on Thursday the 23rd day of October 1817 between the hours of four and six in the afternoon if not previously disposed of by private treaty. All that ancient and very desirable messuage or dwelling house called the Houghstone situate in Stansfield in the Parish of Halifax, with the barn, stable, outbuildings, folds, yards, orchards and gardens; and also all the several closes, enclosures, pieces or parcels of land or ground to the said messuage belonging, called or commonly known by the several names of the Upper Meadow, the Lower Meadow, the Clough Field, the Ratcher Field, the Round Scraper, the Long Scraper, the Scraper next the Lane, the Clough Scraper, or Little Field, and the Houghstone Common, together with all the woody ground and plantations thereto also belonging, containing in the whole by estimation, fifty days work, or thereabouts, now in the tenure or occupation of Mr. Thomas Helliwell, the owner thereof, his assignees or undertenants. And also all that newly erected mill situate at Houghstone aforesaid, lately used by the said Thomas Helliwell for spinning cotton, with the water wheel, upright and tumbling shafts, goits, dams, and other appendages to the same belonging; and likewise all those eight cottages or dwelling houses with the appurtenances situate at Houghstone aforesaid, as the same are now in the several tenures or occupations of Alice Barker, widow, John Holt, Thomas Barker, Ann Barker, widow, Michael Bentley, John Sutcliffe, John Bentley, and John Stephenson, or their or some of their undertenants. The whole of the above premises are freehold, extremely well watered, and abound with many rocks of fine asldar stone which may be got at little expenditure. The trees growing upon the woody ground and plantations are in a very thriving condition, and the principle part of the lands in a high state of cultivation. The Land Tax is redeemed; and the before mentioned premises will be sold in one or more lots, as may be agreeable to the company present at the time of sale, and may be entered into at pleasure. All that piece or parcel of land or ground at a place called Turf Lane Head upon Stansfield Moor, being an allotment of common under and by virtue of the Stansfield Enclosure Act, containing by admeasurement 3 acres, one rod, and 17 perches. All those 4 sittings in 2 pews in the loft or gallery in the chapel at Cross Stone in Stansfield aforesaid. All those 5 and newly erected and finished cottages or dwelling houses with the appurtenances (as yet unoccupied) situate and being at a place called Blind Lane in Stansfield aforesaid. The last mentioned premises are leasehold for the remainder of the term of 999 years, lately created, and subject to the yearly ground rent of £1 payable thereof. For further particulars apply to the said Thomas Helliwell, the owner, who will show the premises, or at the office of Mr. J. Sutcliffe, solicitor, at Hebden Bridge in the Parish of Halifax. The land was sold and Thomas made his plans and left England clandestinely, by way of Sunderland for Quebec in the April of 1818, as skilled men were not allowed to emigrate. He went on ahead of his wife and children to be able to get a house established for them and to buy the goods he would need to set up a general store, which was the plan for the beginning of the new life. To do this he had to stop off at Montreal, which took even longer to sort out than he had anticipated. Sarah, his wife and five children set off to join him a little later, but they went by the quicker way of Liverpool to New York. The children's ages ranged from Mary 21, John 20, Joseph 15, William 7 and Charles 1, so at least Sarah had only one baby to look after. Thomas, the eldest son had stayed behind to tidy up some business and would join them the following year. After a long and difficult journey, they eventually arrived at Niagara in to join John and Elizabeth Eastwood at Lundy's Lane. Thomas and Sarah's son, William, later wrote about this journey in his diary. He was born in 1811, so would have a vivid memory of it, being 7 at the time. It is told in his own words with just the spelling altered for ease of reading. "When I was seven years old in the year 1818, my father emigrated to Canada bringing all the family with him, or rather following after him as he sailed from the port of Sunderland in April for Quebec and the family from Liverpool in June for New York. The reason of my father taking a different route and at a different time from his family was that skilled manufacturers were not allowed to leave the country and he had to do it clandestinely and precede them in order to prepare a home for them. Mr. Eastwood had come the preceding year and after travelling about considerably, had fixed upon the vicinity of Niagara Falls as a desirable place to bring his family. My oldest brother Thomas, remained in England to settle some business and joined us at the Falls the following year. On leaving the Port of Liverpool, our vessel the "Albiona of Portland", four hundred tons registered, got out of channel and ran aground, and when the tide went out we were left high and dry a quarter of a mile or more from the river. The sailors and some of the passengers got down onto the sand, carried the anchor a good distance from the ship so that when the tide came in they could have a purchase to pull her off, and after some difficulty they succeeded in doing so. On sounding the pumps, it was found that she was making water fast. The crew remonstrated with the captain and refused to go to sea with the ship in that condition, so the captain was constrained to return to Liverpool and put her on the dry dock for repairs, which detained us for several days, some of the passengers refusing to continue the voyage in that ship. After knocking about the ocean for seven weeks, we were taken to the Port of Portland, though the ship had cleared from Liverpool to New York. Here we were detained more time until a vessel could be found to take us to New York, which however left us at Perth Amboy and we were obliged to get another vessel to bring us to New York. From thence we proceeded up the Hudson River in a sloop to Albany, a voyage of several days, thence by team to Schenectady, where we shipped again in Durham boats on the Mohawk River to Oneida Lake, thence down Wood Creek to Oswego. This journey took us nearly three weeks. Here we shipped on board a Lake Ontario schooner to Lewiston on the Niagara River and had a most tempestuous and dangerous voyage of four days. Arrived at Lewiston on the twelfth day of August and on the following day were ferried over the river to Queenston, on which day an elephant was on exhibition, the first I believe in Canada, and was viewed by great crowds. From thence we proceeded to Lundy's Lane where my brother in law, John Eastwood, had rented a house for us, as my father was at that time in Montreal. Purchasing goods to open a store. The boat mentioned, a Durham boat, was introduced into the St. Lawrence River by the Americans in 1809. It was a flat bottomed barge with a slip keel and centre board, rounded bow, square stern, with a long rudder. The usual length of the vessel was eighty to ninety feet, with a beam of nine to ten feet. It was primarily used for freight with little consideration given to passengers or crew". How thankful they must have been that they had all survived the journey, but must have been worried to find that Thomas had not yet arrived. It would have been a very emotional and upsetting time for the family but no doubt the children would have looked on it as a great adventure and Sarah, having the strong determination of Walsden women, would have no doubt decided to "take what came". She had grown sons and a son in law to help her if her husband Thomas had met with some misfortune on his trip. Thomas did arrive eventually, to the relief of them all, and the store was opened for trade by early summer of 1818 at Lundy's Lane, Niagara. Thomas was not content with just a shop to run, he had been used to being more than a storekeeper. He decided that expanding into the liquor trade was the thing to do as more money was to be made from this than a run of the mill general store. He and Sarah and a couple of the younger children decided that a move to Niagara where they could rent a distillery, was the way forward, and a nice profit they made, selling whisky by the gallon for a York shilling. They left their son William behind to attend the local school to further his education. He probably lived with his sister Elizabeth Eastwood and her husband. Business was brisk and Thomas, being a very shrewd businessman, saw that there was an opportunity in the area of the Don Valley in York. He went into partnership with John Eastwood, his son in law, and they purchased land there around 1820 from Colin Skinner. By 1821, all the family had eventually moved there. The area was marshy, the steep valley was very difficult to access, especially after rain, and how the workers got in and out in the icy winters is anybody's guess. There was also the hazard of wild animals and they encountered deer, bears and wolves, all free and at large. In fact, a pack of wolves killed a dozen of their sheep on their very doorstep, so life was not easy with the animals, the climate and diseases such as cholera and smallpox to contend with. They busied themselves and ignored the hardships, as the proximity to a good and forceful source of water was the main reason for being there. They concentrated on the building of a gristmill, brewery and malt house, a distillery and a home where they all lived. 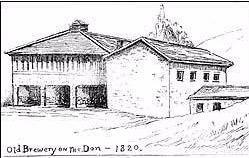 The brewery was soon up and running and was named the Don Brewery. Of course, it was a sure thing that they would prosper, as there was never a shortage of drinkers and outlets were plentiful. They sold to inns and taverns, to the public and from a store in the market square in Toronto. They also supplied the army, so assuring them of a good, regular trade in beer. Eastwood and Helliwell also set up a tin factory, which was in great demand as new buildings were springing up all over the place and good craftsmen like John Eastwood were hard to find. In 1822, the partnership between Thomas and his son in law was dissolved and they divided the property between them. The reason for this is unclear. Maybe John wanted to develop on different ways from Thomas or maybe they just fell out. The Public is hereby informed that the Partnership herebefore carried on under the firm of Helliwell, Eastwood and Co. was dissolved on the 21st day of October 1822 and I hereby notify the public that that I will not be responsible for any debt or debts that have been contracted in the name of the said partnership owners from that date. An advert was put in the paper. John Eastwood went on to form a partnership with Colin Skinner, ran the sawmills, gristmills, and added a distillery. Obviously there was money in this trade. This area reminded John of his old Todmorden home so he named the newly developing village Todmorden after his birthplace. 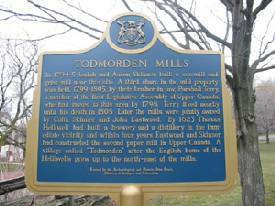 The mills became known as the Todmorden Mills. He became a paper manufacturer with Colin Skinner and they owned the York Paper Mill. When Colin Skinner died in 1841, John Eastwood became the owner, having bought Skinner's share. John died in 1850. His son Colin Skinner Eastwood carried on the business until 1852. John and Elizabeth had ten children altogether. The paper mill later passed to the Taylor family and the Eastwood sons continued the Eastwood publishing business. Elizabeth, John's wife and Thomas and Sarah's first-born child, died in 1864. Whilst the brewery business was expanding, the sons of Thomas and Sarah were growing up. Thomas junior had married before the move to the Don Valley. He later went to live in Toronto and ran the beer shop on the market square that the family owned. His brothers, John and Joseph, also moved to the city and lived with him, operating a tinsmiths in the city. Thomas senior died on July 11th 1823 and was buried in the "Protestant burying ground at York", which probably means the present St. James Anglican Cathedral. He left Sarah, his wife, to run the business along with his five sons who each got their share of the business when they came of age at 21; Thomas, Joseph, John, William and Charles. By all accounts, Sarah ran the business, and her sons respected her as the businesswoman in the firm as she had a very astute mind and was well versed in the trade. Nobody would put one over or get the better of this Lancashire lady. 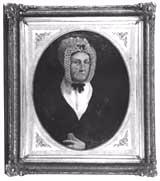 She died on July 20th 1842 in Toronto and her funeral service was held at St. James' Cathedral on July 22nd with Alex Anson being the officiating minister. Elizabeth, Joseph, Charles each to get a feather bed and bedding; Mary was requested to keep a picture of her mother until her brother Charles claimed it; William was given the pier glass in the front room and an edition of the works of Newton; Charles £500; Thomas a clock and the family bible and her dead son John's two sons £100 each when of age. Sarah was a remarkable lady who had seen many changes in her life, from her childhood on the farm at Little Knowl in Walsden, her marriage to Thomas Helliwell and days at Hill House and Houghstone, the birth of her children, to the great adventure of being a Canadian immigrant and the terrible voyage to get there, the move to the Don Valley, the death of her husband and being left with the running of the business. She died in the knowledge that her sons were all successful and they and their families after them would carry on the tradition of this Yorkshire Helliwell family and her own Lord family of Lancashire, of which she was truly a great representative, and they would establish themselves as part of the future of this growing country which had become their home. I wonder if she ever longed to go back home, if only for a visit. She never did. The sons visited England on various occasions on business and always made time to visit Todmorden, where they enjoyed meeting old friends and family. Of the children of Thomas and Sarah, most survived into old age, a sign of the robust health of this family of immigrants. Thomas junior married twice and had six children by his first wife Mary Wilson and seven by his second wife, Ann Ashworth. Thomas was the senior partner, as was to be expected of the eldest son, and was responsible for the administrative work, which he conducted from his office in town where he also managed the beer store. He became elected a Director of the Bank of Upper Canada in 1834. He died in 1862 at 67 years of age. Mary, their only remaining daughter married Colin Skinner in 1824 and they had one son, Colin junior. This family had died out by 1851, Mary dying in 1843 and her husband in 1850. Their son only survived one year more and died in 1851. John was the only son to die quite young in 1828 at only 32, leaving a wife and two children. With his death, the tinsmith side of the business was given up. His son Thomas became manager of the Bank of Upper Canada at St. Catharine's and his other son, John was a commission agent. Joseph married three times, first to Sarah Glasco who gave him nine children and was known to be a very religious lady, second to Harriet Round who had at least three children and after her death he married again. Joseph was bit like his namesake, Uncle Joseph who had squandered away all the inheritance he was left by his Uncle Joseph all those years ago in Todmorden. Joseph seems like it was a name that carried unpleasant traits in the Helliwell family. This Joseph did not have much of an interest in the brewery side of the business and concentrated more on the farm and gristmill. He did not have the same stomach for work and business as his brothers and was probably influenced by his wife, Sarah Glasco, more than he would like to admit. He became a Methodist, the only one in the family, due to his wife's pleadings. He was still alive in 1881. Charles Lord Helliwell, the youngest of the brothers, who was only a baby when he was taken to Canada, became a partner at the age of 21, like the rest of his brothers, but he went to work for his brother-in-law, John Eastwood, at the stationery store that he had opened on King Street, Toronto, and later managed a paper mill in Flamboro. He married three times and had 21 children. John Travis the Walsden historian records that Charles visited back home in 1887 when he was over 70 years of age. The day of his visit happened to be on the funeral day of Henry Midgley of Swineshead Clough, which Charles attended and then he and John Travis went to visit Little Knowl Farm, the birthplace of Charles' mother, Sarah Lord. At this time, Jeremiah Uttley farmed there, but welcomed this Canadian descendent and showed him round the farm. Charles must have been so pleased to see his mother's birthplace and no doubt talked about it often when he returned to his adopted home in Canada. He died in 1906 at the grand age of 90, the last representative of the Helliwell family to be born in Todmorden, Yorkshire. William Helliwell, the most astute of the brothers, became a partner in the brewery when he attained his 21 years in 1832 and he was sent to England to learn about the brewing trade from the malsters over there. He saw lots that interested him whilst he was there, but being only 7 when he had emigrated to Canada, he remembered little of the place. He had become so much a Canadian citizen that what he found in England did not impress him at all. He visited relatives in Todmorden, thought the place small and insignificant, and did not at all live up to his childhood memories of it. No doubt he returned home with letters, all the latest gossip and stories from the family to relate to his mother, who must have been overjoyed to hear news of her old home. He happened to be in Todmorden on REFORM DAY, 28th July 1832, which is covered in detail in his diary. He married Elizabeth Bright in 1834 and they had four daughters and two sons. William had started to build a house near to the brewery and it was not finished until 1838. Before this, William, Elizabeth his wife and their young children, had lived in a stone multi-storey structure attached to the brewery. His mother also lived there, but occasionally she would spend time with her other children in Toronto, no doubt keeping her eye on how they were running the business. William became a prominent member of the local military, becoming a Captain in the North York Militia in 1838. Elizabeth died in 1843 leaving him with the six children. His youngest son died in an awful accident in1844 by drowning in the mill race. These were three bad years for William; he had lost his mother in 1842 followed by his wife and then his son a year later. William was in a tight spot with six children under nine years to raise and so he employed Jane Bright, his sister-in-law, as a housekeeper. William still had enough Yorkshire blood in his veins to see that he could save paying the wages of a housekeeper by marrying her, and so gain a wife who he would not need to pay wages to. They married in 1844 and she proceeded to produce eleven more children for him. Trouble was to come within ten years that would alter William's life and end the brother's partnership. In January 1847, some unknown person put hot ashes into a wooden container next to the brewery. A fire started and the brewery was burned down. All that remained was a burned out shell and many of the workers who lived on the premises were lucky to escape being burned to death. The brewery was never rebuilt, the partnership between the brothers was dissolved and the remaining properties and money was divided equally between them. The insurance loss was huge as only $5,000 was covered out of damage estimated at $80,000, so it was a case of cutting their losses. William took the land that his father had bought in Highland Creek and bought another 60 acres. Thomas and Joseph remained at the Don property and Charles took his share in money. Joseph invested unwisely in the USA and lost most of the money he had, but continued to develop the Don Mills site. His brother Thomas worked in York and by 1855 the two brothers decided to sell off all their interests in the Don Valley and the mills passed into the hands of the Taylor family. So ended the Helliwell connection with Todmorden Mills and the Don Valley. The mills are now a heritage museum and anyone wishing to know about their history can visit. In 1794-5, Isaiah and Aaron Skinner built a sawmill and gristmill near this site. A third share in the mill and their brother- in-law Parshall Terry, a member of the first Legislative Assembly of Upper Canada, who had moved to this area by 1798, held property, 1799-1805. Terry lived nearby until his death in 1808. Later Colin Skinner and John Eastwood jointly owned the mills. By 1823, Thomas Helliwell had built a brewery and distillery in the immediate vicinity and within four years Eastwood and Skinner had constructed the second paper mill in Upper Canada. 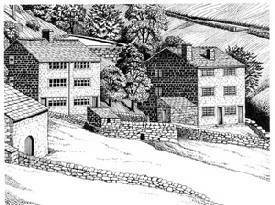 A village named "Todmorden" after the English home of the Helliwells grew up to the northeast of the mills. 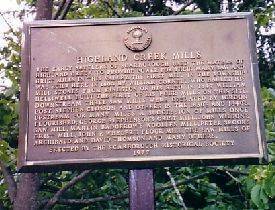 So, in 1847 William started all over again at Highland Creek, Scarborough. His strong Yorkshire grit and his hard working genes standing him in good stead. The area around here was ideal for powering the mills, using the force from Highland Creek. William Cornell had first settled it in 1804 and by the time William moved there, it was a thriving hive of industry. He built a saw and gristmill and a house to live in, and when the mill was up and running, he would float his lumber down to Cornell's Landing and onto ships bound for other ports. His business enterprises grew and he became a force to be reckoned with in the community. He carried on expanding his mills, a cooperage, a boot and harness shop and a second house were all added. He also had the acumen to think ahead and foresaw the need for a hotel in the area, so he built one. Early in the year of 1850, the first local government began and the first Township Council met at an inn at Woburn on Markham Road. William sat on this first meeting and continued as a member until 1862. He had soon made his mark on his new home in Highland Creek. Another of his ventures wasn't to be so successful. Oil had become a new commodity and the search for it in Canada was on. 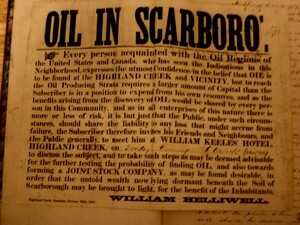 In 1865 William decided to see how the town would react to the suggestion of forming an oil company, so he circulated a poster asking for a meeting to discuss the possibility of forming such a company. The idea was successful and he became the president of the Scarborough Oil Company. A well was sunk to a depth of 1,000 feet in the village near to William's mill on Old Kingston Road. Local investors rushed to buy the 160 shares on offer at $25.00 each. When the boring reached about 600 feet, a cry went round the village that oil had been struck. The villagers and shareholders were ecstatic, believing they had hit it rich. Their joy was soon to be dampened. What had happened was that a local man by the name of Harry Key, now and again, under cover of darkness, poured a gallon of coal oil into the well. What nobody failed to realise, Harry Key included, is that oil wells do not yield refined oil! Once again, in 1880 William suffered from the ravages of fire, when his mill and house were burned down. He went to live at his hotel and nothing daunted, he salvaged what he could and built a new chopping and cider mill. All this at nearly 70 years of age. As well as being a Captain in the militia and a member of the Town Council, William also became a JP, Fishery Commissioner for the County of York in 1896 and he was voted on to a committee of the Scarborough Centennial in 1896 aged 85. He had a great interest in the history of the area he lived in and collected a great deal of information, becoming the first person to put together a detailed collection of the history of Scarborough. He died in 1897 aged 86 and his wife Jane survived him by six years. The site of the Highland Creek Mills was awarded a plaque, erected by the Scarborough Historical Society in 1977 as a reminder of how important a role the area had played in the settlement and development of the area. 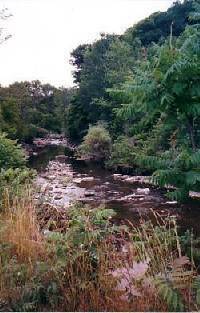 The early settlers of Scarborough used the waters of Highland Creek to provide power for their many saw and grist mills in this valley. The first mill in the Township was built here in 1804 by William Cornell, who hauled his mill stones from Kingston on his sled. In 1847 William Helliwell built the first of his four mills on this site. Downstream three saw mills were operated by Jordon Post, Stephen Closson and others in the 1830's and 1840's. Upstream for many miles a succession of mills once flourished; George Stephenson's grist mill, John Wilson's saw mill, Martin Badgerow's woollen mill, Peter Secor's grist mill, John P. Wheler's flour mill, the saw mills of Archibald and David Thomson, and many others. Today, no evidence remains of the thriving industrial community. All that is left is the creek, overgrown with greenery making a pleasant spot for walking and for wildlife to flourish. The descendents of the Helliwell family continue to live in Canada and can be proud of these early immigrants, who through hard work and perseverance obtained a status in the community to be proud of. Thomas and his wife Sarah, the founders of the family can look down and be happy in the knowledge that they had travelled to the far ends of the world with no guarantee of survival, all those years ago, to find a better life, that their quest had succeeded and that they, and their offspring had established a little bit of Yorkshire in Canada, which can still be seen today. William Helliwell left his diaries as evidence and as a reminder of life for one pioneering family. The transcription of these diaries, which were donated by a family member, can be seen at Scarborough Archives, 730, Scarborough Golf Club Rd., Scarborough, Ont. M1G 1H7.